Each year, YALSA presents the Best Fiction for Young Adults list after American Library Association's Midwinter Meeting. The books, recommended for ages 12-18, meet the criteria of both good quality literature and appealing reading for teens. The list comprises a wide range of genres and styles, including contemporary realistic fiction, fantasy, horror, science fiction and novels in verse. Only one youngCanLit was selected for inclusion on this YALSA Best Fiction for Young Adult. 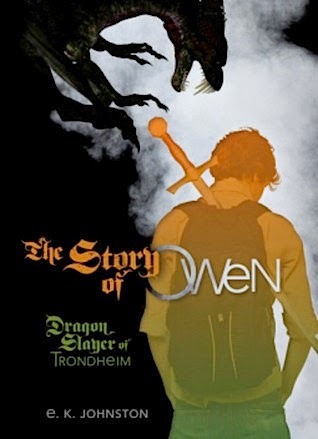 Dragons live everywhere and they’re threatening to exterminate a Canadian town unless dragon slayer Owen, and his bard Siobhan, come up with a plan to save them all.